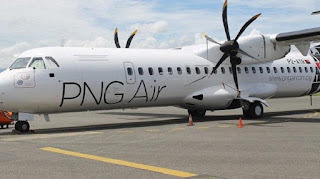 DESPITE PNG Air’s highlights and successes, last year was another financially challenging year for the company, says board chairman Murray Woo. He said even with a growth in regular passenger travel revenue of 17 per cent over the previous year, for the full year 2016 the company returned a K34.8 million operating loss before abnormal items and tax. “Major factors in that result were the general softening of the PNG economy and the global downturn in the resources sector, a significant drop in the revenue from charter operations due to expiry of existing contracts and lack of new charter opportunities, and an increase in overseas currency denominated expenses due to continuous depreciation of the PNG Kina,” Woo said. “Some short-term local issues – temporary closures and restructuring of Ok Tedi’s mining operations, and infrastructure work at various domestic airports restricting flight services – also had large effects. ATR induction costs of K6.6 million. “It needs to be mentioned here that the abnormal one-off costs were results of strategy initiatives undertaken by the board and management of the company which are expected to generate significant benefits in future years. “The board wishes once more to thank all shareholders for their continued support and commitment to the company, and their continued patience when it comes to the declaration of a dividend. “However, a great deal of real progress has been made in transforming the company’s business and creating one that is sustainably profitable.